Are you bummed out that summer has ended? Maybe it’s time to book a flight to The Sunshine State! Florida offers incredible whether year-round, so pack your flip flops and sunscreen and head down south! All along the peninsula of Florida you will find beaches made of soft white sand nestled against teal blue warm waters. Is there anything more relaxing than a Florida sunset? We think not! Some of our favorite Florida beaches include Marco Island, Naples, and St. Petersburg/Clearwater Beach. Scroll to the bottom of this post to see where to stay and base pricing. Beyond the beach, Florida is also a great destination for golf enthusiasts. You won’t have to travel far from the coast to get in a quick 18. Naples is one of the best golf destinations in Florida, and we suggest staying at La Playa Beach and Golf Resort. Scroll down for prices at this stunning resort, and check out more options here. The Florida food scene has gained national attention recently, and one of the best places to experience this is in the St. Pete/Clearwater area. This beach town is full of celebrity chef restaurants like Locale Market. This go-to spot in St. Petersburg is home to celebrity chefs Michael Mina and Don Pintabona and is known for the gourmet ingredients they use in their fresh pastas and seafood dishes. The options are endless when it comes to great Florida destinations for your next vaca. You can’t go wrong with any of the hotels we suggest below in the Marco Island/Naples area or in St. Pete/Clearwater. For a family-friendly hotel that won’t break the bank, check into the 3-star Beachcomber Beach Resort Hotel. 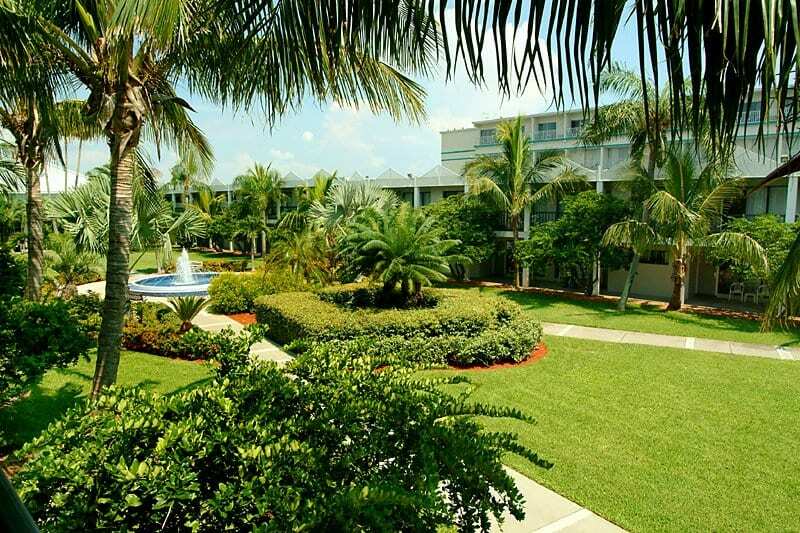 Located on its own private beach on St. Pete Beach, The Beachcomber provides a resort style atmosphere on almost 6 acres of lush tropical landscaped gardens. The location of this hotel offers convenience: it is close to Tampa International Airport and St. Petersburg Airport, Tropicana Field, local museums and aquariums, Lowry Park Zoo, Busch Gardens, and several public golf courses and tennis clubs. A 3 night stay for 2 adults at The Beachcomber Beach Resort Hotel starts at $307. Call us at 402-281-3022 for details. Transport yourself to the Great Gatsby era when you check into the 4.5-star Don Cesar on St. Pete Beach. It is known as Florida’s “Pink Palace”, with its majestic pink exterior and striking architectural design. The hotel itself is a National Historic Landmark and a member of the Historic Hotels of America. 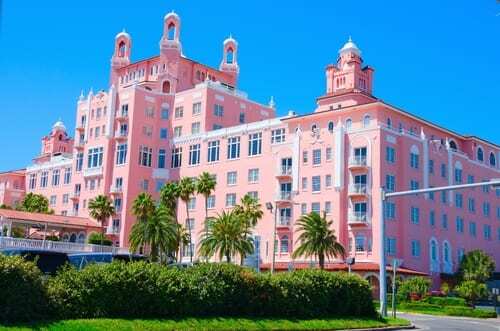 A 3-night stay for 2 adults at The Don Cesar starts at $777. Call us today at 402-281-3022 for more details. This large Florida resort is great for families and groups. You won’t even need to leave the property after you check into Tradewinds Island Grand, with plenty of superb dining options, thrilling watersports included in your stay, kids activities, and more. It even has extended-stay type suites with kitchenettes and multiple rooms for families. A 3-night stay for 2 adults at Tradewinds Island Grand starts at $790. Call us today at 402-281-3022 for more details. 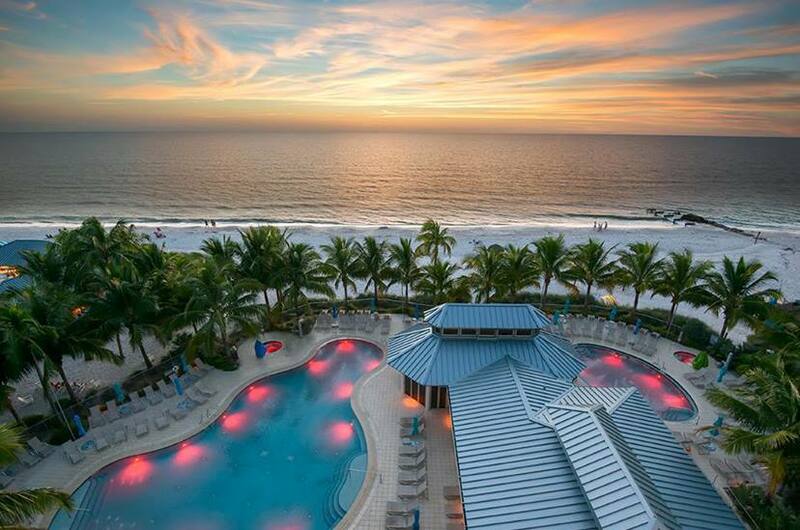 A 3-night stay for 2 adults at Hilton Marco Island Beach Resort and Spa starts at $1,291. Call us today at 402-281-3022 for more details. The historic Naples Beach Hotel & Golf Club has been welcoming guests since 1946. With a 7-miles private beach and award-winning golf course on site, this is truly a playground by the sea. You’ll find an impressive spa, multiple pools, beachfront restaurants, and more. 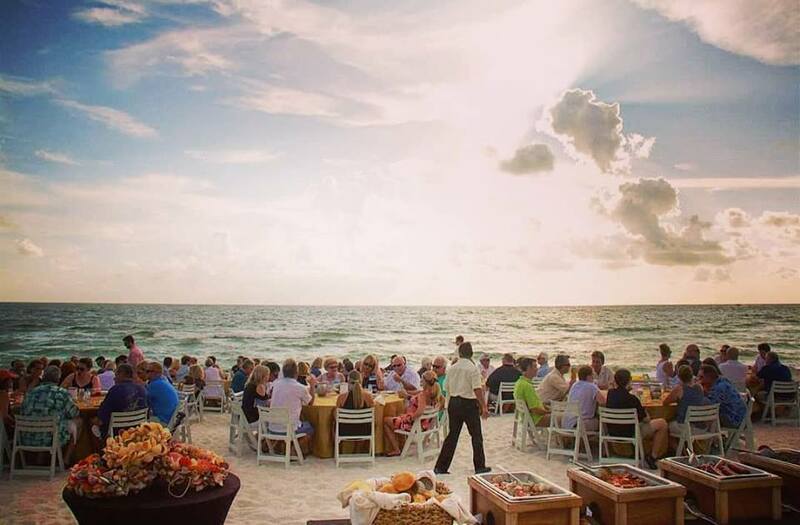 This is a great option for a breathtaking beach wedding. A 3-night stay for 2 adults at The Naples Beach Hotel & Golf Club starts at $1,403. Call us today at 402-281-3022 for more details. The 4.5-star LaPlaya Beach and Golf Resort is the epitome of beachside luxury and relaxation. Stunning suites include large private balconies, Frette linens, goose-down pillows, and canopied beds made for sleeping til noon. 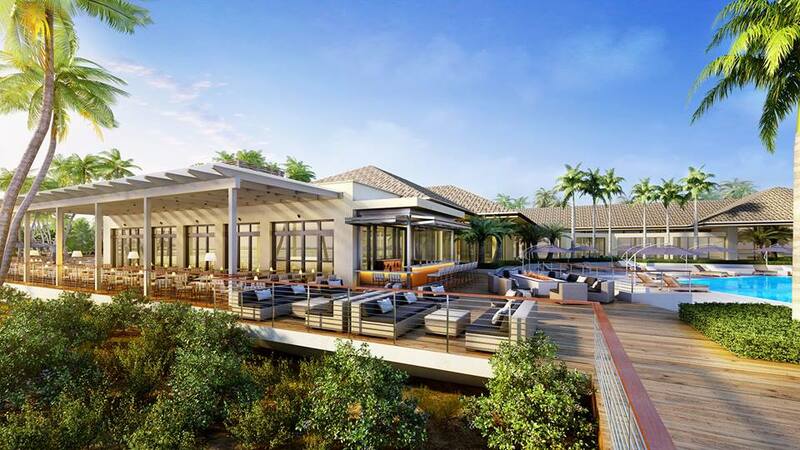 Enjoy spectacular sunset views at the on-site upscale restaurant, then travel less than a mile to a new Bob Cupp-designed golf course. This boutique-style resort is a great option for a stateside honeymoon or destination wedding. A 3-night stay for 2 adults at LaPlaya Beach and Golf Resort starts at $1,701. Call us today at 402-281-3022 for more details.